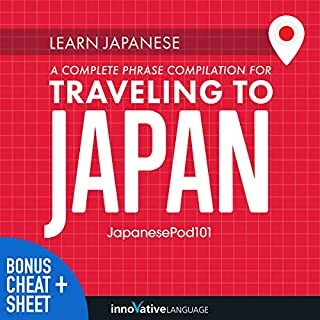 I thought I was going to listen to a 31 minute Japanese lesson. The first 11 minutes were an explanation of how to use the course and all the features. The same course explanation is given in level 1. What a waste of time. Turns out I only got a 20 minute lesson. I feel like this series is over priced. Spam.. Just an add for the lessons. Waste of time. Spam.. Just an add for the lessons. Waste of time. 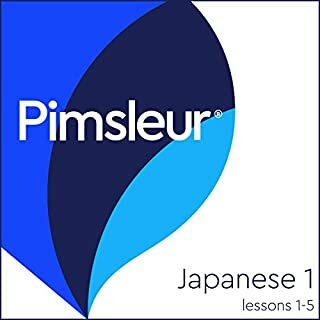 You would think a sample of actual lessons would be a good idea but these are just five to 45-minute advertisements for the lessons you get no actual feel of the content. Well it's a nice sort of demo if you want to get the rest of the series. The format is very fun and easy to listen. the dialogs are very well explained. 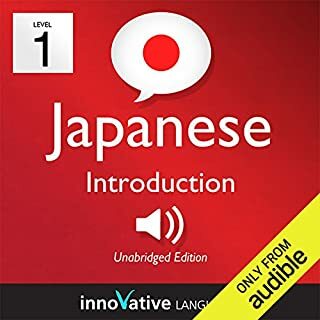 Would you consider the audio edition of Learn Japanese with Innovative Language's Proven Language System - Level 2: Absolute Beginner Japanese to be better than the print version? 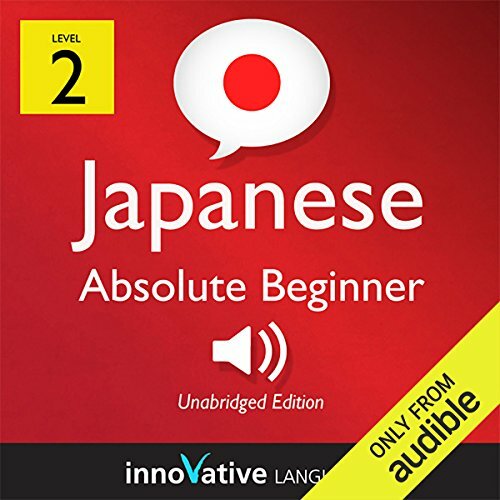 Audio is absolutely the best format for this simple, fun, and encouraging introduction. I do not believe it would work in print; albeit there is printed supplementary material that complements the audio book perfectly. 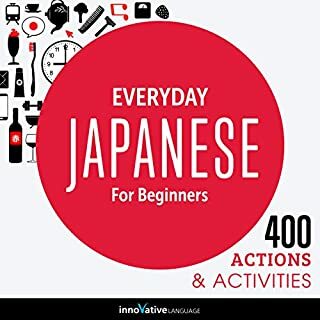 What other book might you compare Learn Japanese with Innovative Language's Proven Language System - Level 2: Absolute Beginner Japanese to and why? I tried a few others but none worked as well as this book and the follow-on series. Not appropriate for this kind of book. It does not make sense to listen to this entire book in one sitting; rather to listen to 1-2 chapters, then practice and internalize. What more could you ask for free? This is a representative introduction to the follow-on books that are worth every penny IMHO. I downloaded to see what was it all about and all i could find was stupid voice promoting their project. Absolute lack of professionalism and a crude form of marketing. Who would you have cast as narrator instead of Peter Galante and Naomi Kambe ? I couldn't care less for any of them. Delete it from your library as it discredits your reputation. 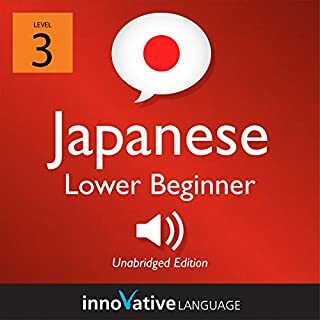 What would have made Learn Japanese with Innovative Language's Proven Language System - Level 2: Absolute Beginner Japanese better? 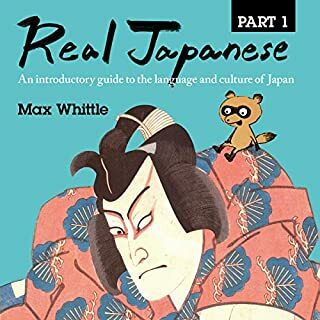 Like Mark Frobose, Innovative Language slows the Japanese pronunciation to the point where it is unintelligible gibberish...even when playing at 3x normal speed. Painful to listen to.